Here at Even The Stars, we're a bit ambivalent towards U2. They've made some great records and also some dross. They've given us their latest album Lost Innocence for free, so we thought we'd share our thoughts on it with you as we play it for the first (and maybe last) time so you don't have to listen to it. Love or hate them, U2 are impossible to ignore. We've seen them three times, once back in 1989 before Bono became God and then again in 2001 at the MEN Arena and last time in 2009 at Wembley Stadium. Irrespective of thoughts on their music, their alleged dubious record on tax payments and the tendency to rant on between songs about causes close to their, but often not their audience's, heart with stage-managed stunts, it's impossible to deny that they put on fabulous events. Musically, they've always been a bit hit-and-miss. Zooropa and the majority of Achtung Baby are their high-points, when music won in the battle against the egos, but, the odd single such as Elevation apart, their 21st Century output swings from self-indulgent codswallop through mediocre to an odd flash of what the biggest band in the world should be creating. Their early work sparkled brightly before their Joshua Tree and Rattle And Hum phase where you struggled to hear the music because Bono was beating his chest so hard. So it's with some trepidation that I press play in iTunes on the album they've kindly given away to half a billion people around the world (the physical editions coming in October will, of course, have extra tracks to entice the buyer in), but here goes, thoughts as I listen. This is one listen, thoughts written down as I do, no going back. The Miracle (Of Joey Ramone) - oh dear, it's not a great start, a set of "woah woah" and a ridiculously overblown drum sound usher in the record. Fortunately it stops quickly and the first verse actually doesn't sound too bad. There's a nice breakdown into the chorus. Still no mention of Joey Ramone so far and it certainly sounds nothing like anything he put down to record - it feels like the namecheck is apeing those kids who wear their shirts as a fashion accessory. The woahs come back. Please make them stop. Interesting middle eight with some heavy Edge riff, spoilt by those woahs again. Dodgy title and the woahs apart, it's actually not a bad start. Every Breaking Wave - a nice under-stated beginning to the song, Bono holding back with the vocals which can never be a bad thing. The chorus kicks in and it's not too overblown to my relief as I was waiting for it to happen. It's branching into the acceptable side of Coldplay territory and we probably have a chicken and egg situation there, but this is a fairly decent tune. Interesting vocal section at the end of the breakdown in the middle and a cracking riff bring it to a close. California (There Is No End To Love) - cringing at the "ba ba ba Santa Barbara" opening section and it doesn't want to stop for the first minute. This is U2 at their worst so far, they think they're imparting something of great importance but really it's just fluff. And there's more woahs, combined with the thrilling declaration that there's no end to love. Not even another Edge riff can save this one. 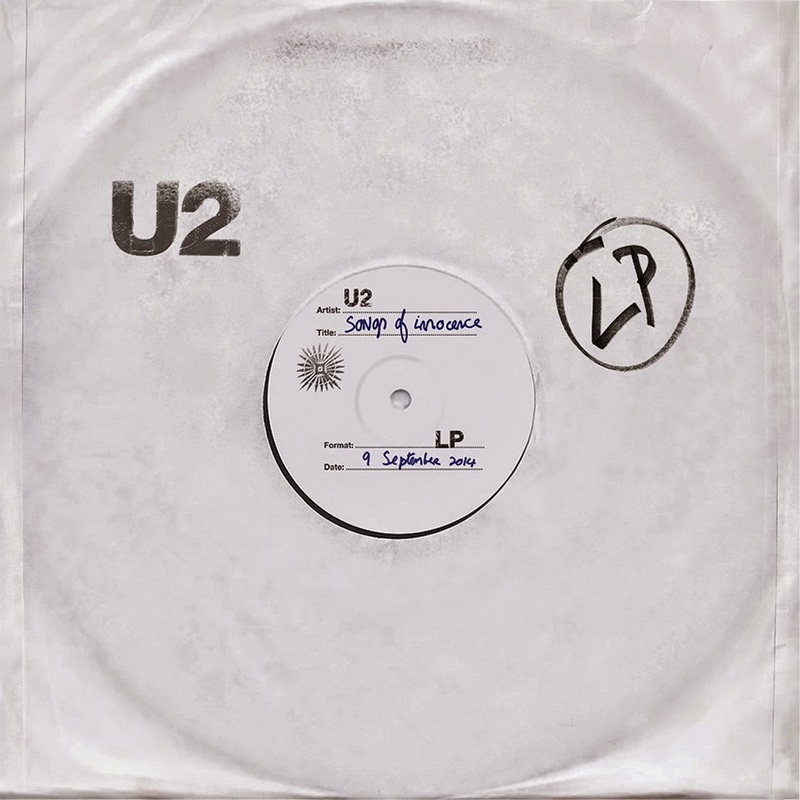 Song For Someone - starts as one of those ballads that U2 do manage to pull off extremely well, it builds slowly into a chorus that will see lighters waved when they play it mid-set on next year's inevitable stadium tour. Bono sounds so much better when he's not straining to make us listen to him. There's a series of yeahs in the middle as if he feels he has to fill the space though when there's no need. At least it's not woahs this time. Iris (Hold Me Close) starts with a thumping drumbeat that makes you think we're heading into Joshua Tree chest-thumping territory, but thankfully they just about hold back for the first two minutes, until we get to a section of "woo woo" as if Bono can't help himself. It's basically U2 by numbers, harmless, washing over you, not causing ripples of indignation until he does that. It changes direction about three and a half minutes in and actually starts to sound great, lyrics coming across as if a stream of conscience. And then the woo woos come back and ruin it. Volcano - Nice guitar work on this one, but this feels fairly directionless, a lyric "do you live here or is this a vacation" and "you are rock and roll" isn't really up to what you'd expect from a celebrated lyricist and so far I'm not really hearing any message being imparted with this record. And then, worse than what's come before with the woahs and woos, we get a chorus come in with na na nas. It's only just over three minutes long, three minutes too long. By far the worst song so far. Raised By Wolves - God only knows what's going on the start, not sure if it's a wolf impersonation, but it's awful. It's an impassioned vocal performance from Bono, an interesting guitar riff underneath it as well, drums quickening the pace to the chorus. Sadly the chorus is a little overblown as if they can't help themselves and that strange noise from the start keeps coming back in. Cedarwood Road - Now this sounds promising, a big riff, heavier than you'd usually expect from U2, dropping down into a chorus and a restrained vocal that builds in intensity as the guitars build back up. It's fairly obvious he's looking back at his childhood in Ireland and reminiscing (ok, I cheated and googled as I listened) and claiming he's never really left. It's by far the best song so far. Sleep Like A Baby Tonight - A change of direction for the record, a repetitive beat (can't tell whether it's piano or guitar) going into a stop-start riff after the chorus with some really nice layered vocals. The best moments of this album have been where it feels they're not trying too hard to be something they're not and you even forgive Bono the misguided attempt at a falsetto half way through. It then veers off into a beautiful mix of guitar and a simple underlying twinkling beat. Has no one told them not to put their best songs at the end of the record? This Is Where You Can Reach Me Now - I spoke too soon. This is brow-beating vacuous sloganeering at its worst, the song doesn't actually say very much about anything. The music is the most interesting thing about it, a very tight rhythm section allowing The Edge to weave patterns over the top of it when he's not being shouted down. The Troubles - an intriging start, a female vocal over a distant drumbeat, a guitar that sounds lost, beautiful strings. It doesn't sound like U2, the female (Lykke Li I think) sings the chorus and the mix with Bono singing the verse and its under-stated nature mean it's quite a triumph. All in all, it's probably everything you expect from a U2 album. I can't see it generating a resurgence in their popularity and winning them many new fans. The die-hards will rush out and buy it and love it, the indifferent who buy the stadium tickets will buy it, play it a few times and nip off to the bar at the big gigs when they play the better bits of it next summer and those that hate U2 will hate it, because Bono can't help being Bono. It's at its best when they're not trying to sound like the biggest band in the world and trying to force an opinion on us and someone needs to have a word about the woahs, woos and nanas. U2's official website can be found here. They are also on Facebook and Twitter.